If you are authorized 1 conference day, use this registration link along with your registration code. If you are authorized 2 conference days, use this registration link along with your registration code. If you are authorized 3 conference days, use this registration link along with your registration code. If you are authorized 4 conference days, use this registration link along with your registration code. If you are authorized 5 days, use this registration link along with your registration code. Education Speakers: You will need your unique confirmation code to use to complete a registration. 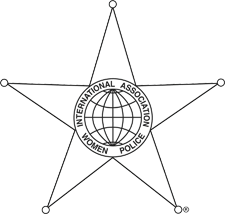 If you do not remember, contact the IAWP Training Committee to have it re-issued.